Well, it happened, against ALL the odds. The final EE egg hatched! At bedtime, I noticed the first pip. I was overjoyed because I didn’t think it would hatch. It was way later than every one else. Also, one of those two EE eggs was the one that candled fully dark. I couldn’t see anything and marked it with a ? to watch. When the first EE pipped, I thought for sure that the remaining one was the dark one. I suppose one of them was the dark one, but they both hatched anyway. 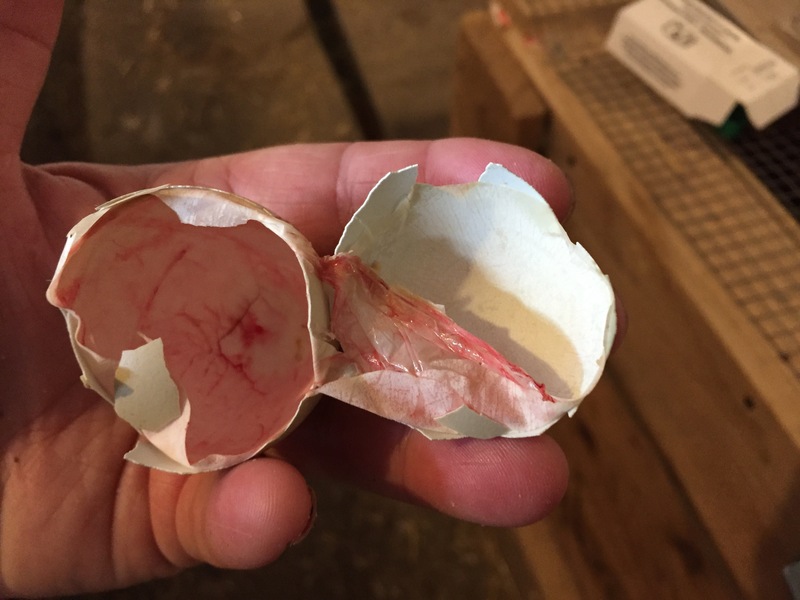 Thus proving I have a lot to learn about candling eggs. 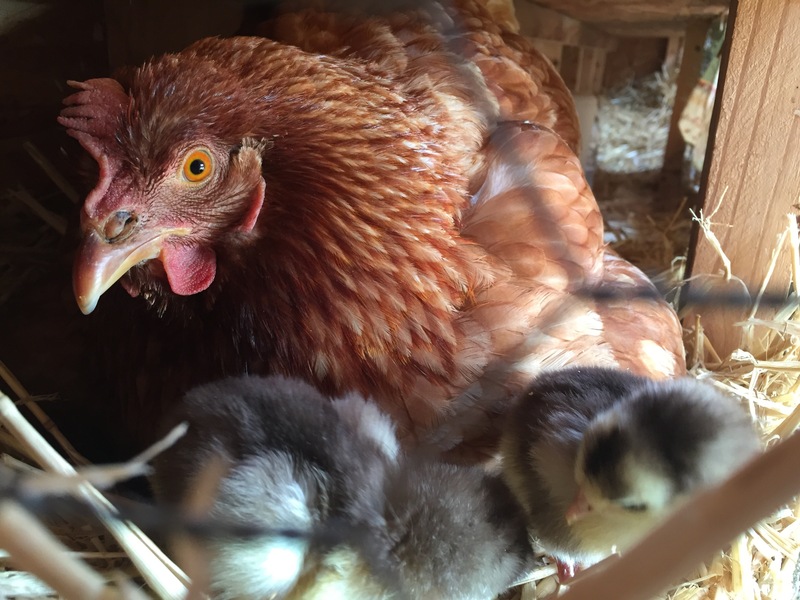 The total hatched was eight chicks: 3 chocolate Orpingtons, 2 Easter Eggers, 2 Sulmtalers, and 1 Pavlovskaya. This morning after the last baby hatched, Little Dude and I moved momma and babies to the maternity suite. They will have more room there, plus privacy and relative safety. Ah well! The hens seem to like it and that’s all that matters.